Account number: A unique sequence of numbers assigned to a cardholder account which identifies the issuer and type of financial transaction card. Acquirer: A licensed member who maintains the merchant relationship and acquires the data relating to a transaction from the merchant or card acceptor and submits that data into the interchange, either directly or indirectly. Annual Fee: This is a yearly fee charged by some ISO’s and acquirers to maintain a merchant’s account. This is also called a renewal fee, subscription fee, or membership fee. Authorisation: A process defined in operations regulations whereby a transaction is approved by or on behalf of, an issuer; commonly understood to be receiving of a sales validation by the merchant, by telephone, or authorisation terminal. Automated Teller Machine (ATM): An unattended, magnetic stripe-reading terminal that dispenses cash; accepts deposits and loan payments; enables a bank customer to order transfers between accounts and make account enquiries. Average Ticket: The average amount of all transactions charged by a merchant on a monthly basis. AVS (Address Verification System): In 1996, Visa®/MasterCard® headquarters introduced a new regulation requiring all businesses who manually key in the majority of their credit card transactions to have a special fraud prevention feature on their credit card processing equipment. This feature is referred to as an address verification system (it checks to see that the billing address given by the customer matches the credit card). 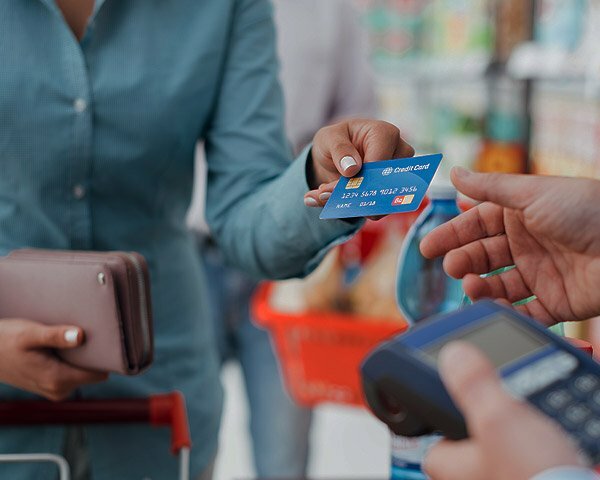 If you opt not to use AVS, VISA® and MasterCard® will not support your transactions and will charge you an additional percentage on those sales. Bankcard: A debit or credit card issued by an issuing bank. Batch: A collection of credit card transactions saved for submitting all at one time, usually each day. Merchants who do not have real-time verification systems must submit their transactions manually through a POS terminal. Cancellation Code: The code that a lodging or car rental merchant gives to a cardholder. The cancellation code confirms that the cardholder did, indeed, cancel a reservation. Cancellation Fee: This is the fee charged by the ISO or acquirer if a merchant cancels his contract before the specified contract period expires. Card Association: A payment card industry governing body which sets rules and interchange rates. Visa, Mastercard, and American Express, are the three largest card associations in Europe. Cardholder: The customer to whom a card has been issued or the individual authorised to use the card. Chargeback: A charge back occurs when a card holder disputes a credit card transaction with his or her credit card issuer. The card issuer initiates a charge back against the merchant account. The amount of the disputed transaction is immediately withdrawn from the merchant’s bank account, and the merchant has 10 days in which to dispute the charge back with proof of purchase, signature, proof of delivery, etc. A charge back is ultimately decided and resolved by the card association. A charge back fee is usually assessed to the merchant on top of the actual transaction. See also retrieval request. Clearing: The process of exchanging financial transaction details between an acquirer and an issuer to facilitate posting of a cardholder’s account and reconciliation of a customer’s settlement position. Cobranded card: A credit card issued jointly by a member bank and a merchant, bearing the “brand” of both. “Code 10” Authorisation: This is a voice authorisation code which you might initiate when you suspect a card is stolen or fake, or when a customer is acting suspiciously. Commerce server: A Web server that contains the software necessary for processing customer orders via the internet, including shopping cart programs, dynamic inventory databases, and online payment systems. Commerce servers are usually also secure servers. Corporate card: A bankcard issued to companies for use by company employees. The liability for abuse of the card typically rests with the company and not with the employee. Credit card: A plastic card bearing an account number assigned to a cardholder with a credit limit which can be used to purchase goods and services and to obtain cash disbursements on credit. The cardholder is subsequently billed by an issuer for repayment of the credit extended at once or on an installment basis. Credit card processors (or third-party processors): Merchant services providers that handle the details of processing credit card transactions between merchants, issuing banks, and merchant account providers. Currency conversion: The process by which the transaction currency is converted into the currency of settlement or the currency of the issuer for the purpose of facilitating transaction authorisation, clearing and settlement reporting. The currency of the transaction is determined by the acquirer; the currency of the issuer is the preferred currency used by the issuer, and most often, the currency in which the cardholder will be billed. Debit card: A plastic card used to initiate a debit transaction. In general, these transactions are used primarily to purchase goods and services and to obtain cash, for which the cardholder’s asset account is debited by the issuer. Debit Fees: Debit fees are based on the debit network which issues the debit card. Debit fees are comprised of network fees and transaction fees. It is usually a flat fee and a statement fee. Digital Wallet: A consumer account set up to allow Ecommerce transactions through a particular credit card processing system. Before the consumer can make a purchase, he or she must first establish an account with the credit card processor, who provides an ID and password. These can then be used to make purchases from any website that supports that transaction system. Draft/Sales draft: A record (usually paper) used to document that a product or service was purchased. Electronic draft capture (EDC): A system in which the transaction data is captured at the merchant location for processing and storage. Electronic funds transfer (EFT): A paperless transfer of funds initiated from a terminal, computer, telephone instrument, or magnetic tape. Equipment: Most credit card transactions are conducted electronically by using Electronic Draft Capture (see EDC). Typically this is performed by terminal (like the Verifone 670), Software or via the Internet. Factoring: The purchase of debts owed, or “accounts receivable,” in exchange for immediate payment at a discount. In Ecommerce, the term is often applied to ISOs that offer to process credit card transactions through their own merchant account rather than through an account established by the merchant, in exchange for a percentage of the transaction or other fee. Factoring of credit card debt is illegal. Floor limit: A specific limit used to determine which card transactions you must authorise. If your business has a floor limit of £1,000 — you must get authorisation for any transaction over that amount. Note: All airline, telephone, and mail order transactions must be authorised, even if the amount is under your floor limit. Holdback/ reserve: A portion of the revenue from a merchant’s credit card transactions, held in reserve by the merchant account provider to cover possible disputed charges, charge back fees, and other expenses. After a predetermined time, holdbacks are turned over to the merchant. Note: Merchant account providers almost never pay interest on holdbacks. Imprint: A physical impression you make from a customer’s card which appears on the draft. This proves that the card was present when the sale was made. Note: An imprint can be created electronically if you use a magnetic-stripe-reading terminal which includes the correct point-of-sale (POS) entry code. Imprinter: A device to produce an image of the embossed characters of the bankcard on all copies of sales drafts and credit slips. Interchange fee: The fee that the Card Association charges the merchant to get the funds into his bank (merchant bank) and to get the billing information to the cardholder’s bank (issuing bank). Interchange fees are based on following credit card regulations and capturing appropriate data including pin codes, card swipe, address and electronic signatures as needed. These fees are also based on the timeliness of the settlement of transactions. Issuer: The member that enters into a contractual agreement with card associations to issue cards. Issuing bank: The bank that maintains the consumer’s credit card account and must pay out to the merchant’s account in the event of a credit card purchase. The issuing bank then bills the customer for the debt. Magnetic stripe: The magnetically encoded stripe on the bankcard plastic that contains information pertinent to the cardholder account. The physical and magnetic characteristics of the magnetic stripe are specified in ISO Standards 7810, 7811, and 7813. Magnetic stripe reader: A device that reads information recorded on the magnetic stripe of a card. Also known as a card swipe reader. Member: An institution that participates in the programs offered by card associations such as issuers and acquirers. Merchant: A retailer, or any other person, firm, or corporation that (pursuant to a merchant agreement) agrees to accept credit cards, debit cards, or both, when properly presented. Merchant Account: A specialised bank approved and issued account to process credit card transactions. One of three parts needed to accept credit cards. Other parts required are a local bank business account (to deposit funds) and a processing solution (to access your merchant account) such as a terminal or gateway. Merchant bank: A bank that has entered into an agreement with a merchant to accept deposits generated by bankcard transactions; also called the acquirer or acquiring bank. Merchant Identification Number (MID number): The number a financial institution assigns to a merchant to identify your business. Monthly minimum: This is a fee that is imposed if your credit card charges (Discount Rate) do not add up to their monthly minimum amount. For example, your monthly minimum is £25 a month. If your credit card discount rate was 2.25% and you processed £1000.00 in credit card volume, £22.50 is charged to the account plus an additional £2.50 (the difference between the £25.00 minimum and actual discount fees). Payment gateway (see also – real-time processing): The code that transmits a customer’s order to and from a merchant’s bank’s transaction-authorising agent — usually a MAP (merchant account provider). See also payment gateway provider. Payment gateway provider: A company that provides code and/or software for an Ecommerce site to enable it to transfer information from its shopping cart to the acquiring bank, and on through the rest of the credit card transaction. See also payment gateway. PCI Compliance: PCI rules prohibit the storage of cardholder information. All merchants and service providers that store, process, or transmit cardholder data are required to comply with PCI DSS. Compliance is not optional. Even the smallest businesses are required to complete an annual self-assessment form, implementing the 12 basic PCI requirements. Personal Identification Number (PIN): A four-to-twelve character secret code that allows an issuer to positively authenticate the cardholder for the purpose of approving an ATM or terminal transaction occurring at a point-of-interaction device. Processing Solution: A device, software or virtual product that allows you to connect to a Merchant Account. Without a processing solution, like a credit card terminal, there would be no way to verify, approve and deposit credit card transactions. Purchasing card/Corporate card: Designed to help companies maintain control of purchases whilst reducing the administrative cost associated with authorising, tracking, paying, and reconciling those purchases. Real-time processing: Having your customer’s credit card information validated and processed for you automatically. The credit card will be charged and the money will be deposited into your bank account all automatically. This is perfect for an internet-based business. Receipt: A hardcopy document representing a transaction that took place at the point of sale, with a description that usually includes: date, merchant name/location, primary account number, amount and reference number. Recurring fees: Regular, usually monthly, charges for maintaining a merchant account. Recurring fees include the discount rate, transaction fees, statement fee, and monthly minimum. Retrieval request: A retrieval request is what happens when a cardholder cannot remember a credit card transaction, or the bank wants to order information for some reason. 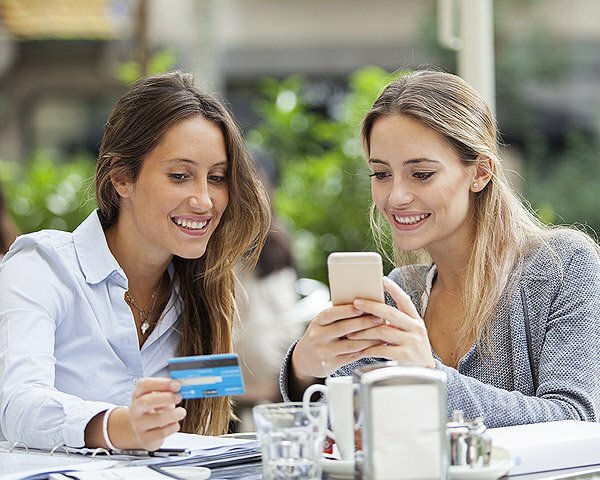 The card issuer initiates a retrieval request, in which the merchant has 10 days to respond with the order information or the retrieval request will turn into a charge back. There is usually a retrieval request fee issued against the merchant also in these cases. SSL (secure socket layer): A system for encrypting data sent over the Internet, including Ecommerce transactions and passwords. With SSL, client and server computers exchange public keys, allowing them to encode and decode their communication. Settlement: The process by which merchant and cardholder banks exchange financial data and value resulting from sales transactions, cash disbursements and merchandise credits. Setup fees: Fees charged for establishing a merchant account, including application fees, software licensing fees, and equipment purchases. Smart card: A plastic card containing a computer chip that can store electronic “money.” Unlike a credit card, a smart card can only spend out the amount its owner has already put into the card account. It’s similar in function to a prepaid calling card but is available for all purchases. Transaction: Action between a cardholder and a merchant or a cardholder and a member that results in activity on the cardholder account. Transaction date: The date that a cardholder effects a card purchase of goods, services, or other things of value, or effects a cash disbursement. Transaction fee: A charge for each credit card transaction, collected by the MAP (merchant account provider) or ISO. Transaction fees usually fall between £0.01 and £0.03 (UK. ).